We just learned about the mountain peak lhotse. 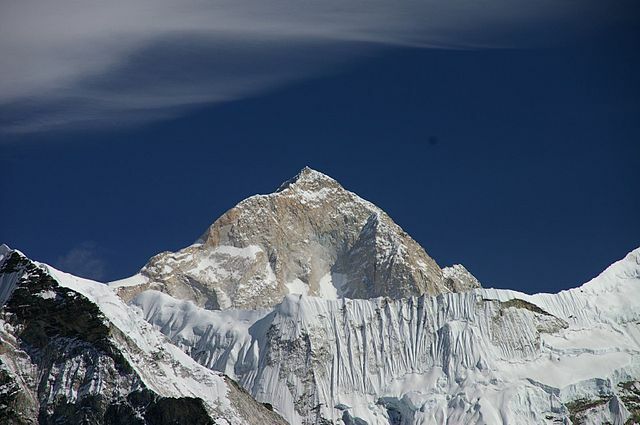 The next highest mountain peak is Makalu in Nepal and China. It is 27,838 feet high. This peak is a four sided pyramid shape. Some people think it is one of the most difficult mountains in the world to climb. The last part of climbing the mountain is climbing up rock and ice climbing, not just hiking. There is a beautiful valley at the base of the mountain peak, called the Makalu-Barun valley. It has high waterfalls and deep gorges, flowers blooming below snowy mountain peaks. There are some rare types of plants and animals that can only be found in this valley.